Ahhh. Summer reading has officially begun at my library. Yesterday marked the first day of our programming schedule, and I think it's going to be a busy, crazy pants of a summer (in the best way possible). I also think we need to make a few adjustments. Things were learned yesterday. Chaos ensued. And now we regroup. We are very fortunate to be able to partner for a day each week with our local Parks & Recreation department to program for the summer day camp they offer during the summer. (Alas, our Parks & Rec group isn't anything like in the fictionally fantastic Pawnee, Indiana. If only there were a Ron Swanson. Sigh. Anyhoo, partnering means we get to program for over 80 kids which is quite a feat. The Children's Department tackled the larger (younger) group, and Teen Services prepared programs for the slightly smaller (older) group. Our summer reading theme this year is "Reading Olympics," and we thought it would be cool to travel the world with our teens and introduce them to a variety of crafts and games from countries that will be participating in this year's summer Olympics. Our first continent was North America (which we extended to include Central America for some variety). Our activities were solid. We planned on programming from 1-2pm with the camp and then resetting for our usual teen programming from 3-5pm. Our 3-5pm participants rocked. They laughed. They crafted. They stayed on point. Jessica and I signed each participant up for the summer reading program at the beginning, while two very brave Teen Advisory Board members monitored the activities. The idea is that each week when the campers come in, they can log their reading hours and check out new books along with completing some fun activities. Luckily, next time, we won't both be occupied at the computer and will be able to give the TAB members a little more assistance which they needed. Adjustments, dear readers. Always adjustments. 1) Scavenger Hunt - Each student was provided a scavenger hunt that was basically a fill in the blank exercise. On each activity table was a sign that included a short blurb on the history/culture significance of what they would be completing. The fill-in the blanks were tied directly to those short blurbs, the idea being - got to each table, complete the activity, read the sign, fill in the blanks. 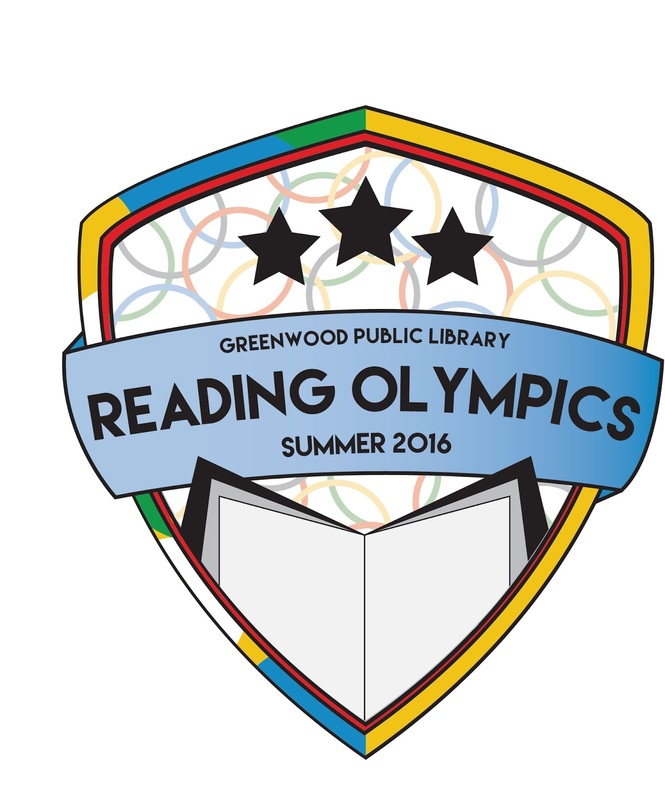 On our last programming day in July we'll host "The Amazing Race Olympics" where they'll use some of the info they've gathered at each Tuesday event to complete the race. The more attention you pay each week to the signs, the faster your race time will be. 2) String Art - We purchased foam board from Dollar Tree (we bought 10/used 5), small beading/sequins pins from Hobby Lobby (800 per box for $3.99), and a package of neon embroidery thread (24 skeins/$4.99) from Hobby Lobby as well. The extra materials can easily be used for a program this fall or to put in a maker kit for a drop-in project anytime. We provided each participant with a piece of foam board, string, pins, and an outline of the state of Indiana. We were going to do the out of North America, but since it's also Indiana's Bicentennial, we thought we'd go local. Campers had no idea what was happening. Teen group later in the day had a blast. 3) Totem Poles - We ordered some small (3in x 8in) cardboard boxes on Amazon (100 boxes/$19.99). Each participant decorated the edges of the boxes to represent either themselves or their family. The goal was to collect each of those, stack them, and create a totem pole to display in the Teen Room this summer. 4) Kuna Mola Art - Originating in Panama, Kuna Mola art is usually found in textiles, but we used black construction paper and bright tissue paper to make colorful designs. 5) Hockey - When you think of Canada, well, a lot of things come to mind, but usually you end up at hockey at some point in the though process. We used pool noodles, cones, and soft, small dodgeballs and let participants "shoot" on goal. 6) Book Tasting - This is something we've started to adding to all of our teen programs as a way to introduce teens to new books to read. Here's my blog post with a full explanation of the activity (Library GrabBag: Tickle Your Tastebuds with a Book Tasting). 7) Language Challenge - And finally we had a language challenge, in the hopes of showing participants about the diversity in cultures. Participants were tasked with matching the French, Spanish, and Inuktitut words to the English "Hello", "Sorry", and "Thank You". We used our magnetic wall board to make it easy to move the papers around until they go the right combination. Overall an excellent day. Ultimately the cool thing about the summer camp is that we're introducing new kids to the library so that they can see we are far more than just a building of books. It's also about relationship. They'll get to know us a bit this summer, and then when, hopefully, they come in during their middle school years, they'll be comfortable visiting. And they'll be reading this summer, keeping their brains fresh and moving until school starts at the end of July.